Glen Phillips is a singer who was born in Santa Barbara, California on December 29, 1970. On Spotify, Glen Phillips has a somewhat modest fanbase with only a popularity score of 26 out of 100 and about 5,200 followers as of 2018. His most popular track on Spotify is "I Still Love You" from the album Mr Lemons. Glen Phillips's filmography includes First, Last and Deposit, from 2000. As of 2018, Glen Phillips has 5,200 followers and a popularity score of 26 on Spotify. Mr Lemons and Swallowed By The New (Deluxe Edition) are some of the more popular Glen Phillips albums. Notable tracks from these albums include I Still Love You, I Still Love You, and Go. I Still Love You is the most popular track from Glen Phillips, scoring 18 out of 100 on the popularity scale. I Still Love You and Go have popularity scores of 18 and 17, respectively. The Spotify popularity score is on a scale from 0 to 100 and reflects the number of times the song has been played and how recently it has been played. There is only one movie featuring Glen Phillips as of 2018. 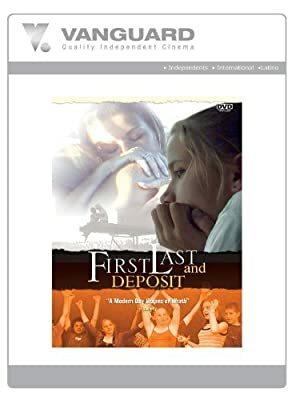 First, Last and Deposit is the only recent movie featuring Glen Phillips. Glen Phillips played Jordan in First, Last and Deposit, released in 2000.